Western Heights Primary School Year 1 students singing “Oh, No Mister Possum”. 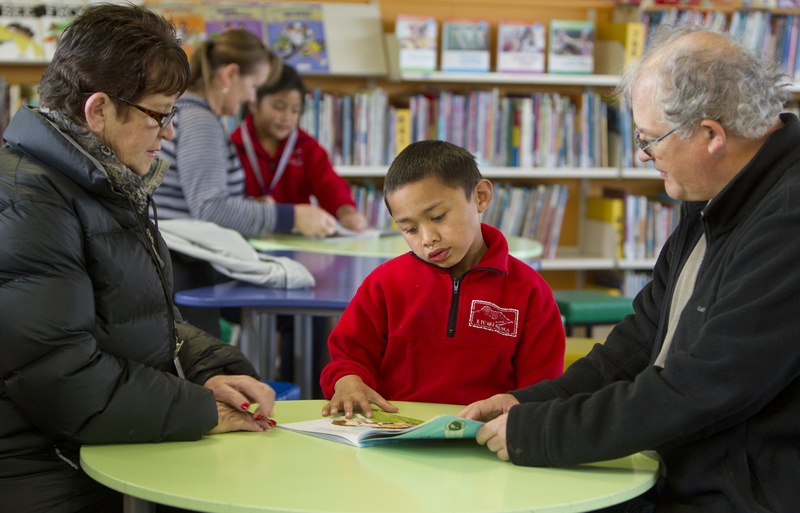 Rotary Rotorua Sunrise launched this exciting education initiative at Western Heights Primary School in February 2014 to assist and raise the level of students’ early oral language and literacy to enable them to transition to more formal learning. 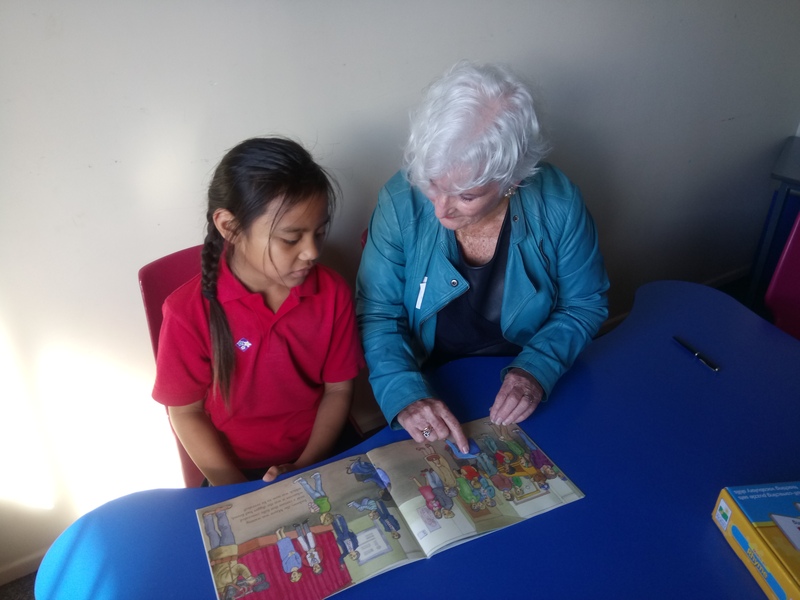 It meets one of The Rotary Foundation’s key areas of focus – basic education and literacy in our local community and the programme is a legacy established by Past President, Sue Gunn. 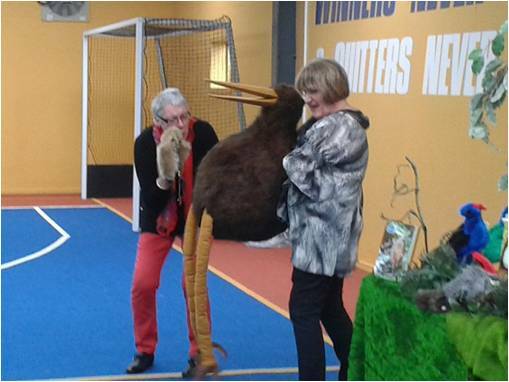 This Oral Language Programme “Time to Talk with Tamariki – Te Wa Korero a nga Tamariki” is an exciting community education initiative, developed by Annette Stock, Speech Language and Literacy Specialist. 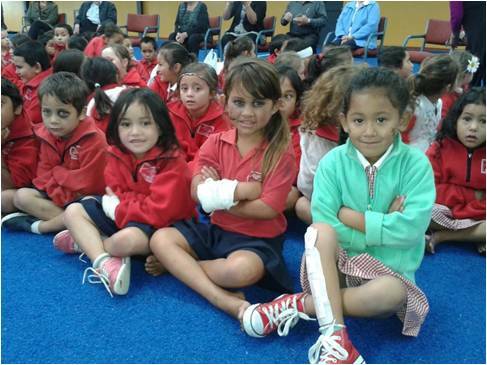 Western Heights Primary School (WHPS), recognise that many students coming to school have low oral language which affects their formal learning. Oral language underpins this learning. There is recognition that teachers are hard pushed to meet the needs of these students. 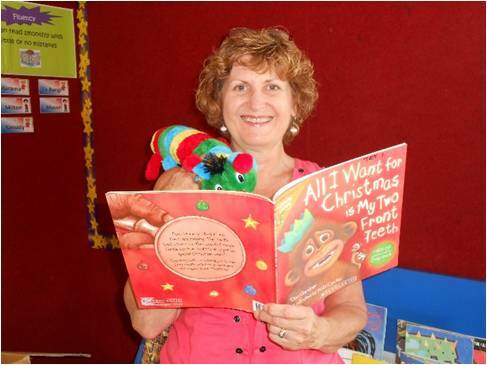 Annette Stock said, “Children need to develop a sound oral language system, which is a natural developmental process, that will support them when they move on with the more formal process of learning to read, write and spell – not a natural development, they have to be taught”. This programme has been designed to support students, who enter the schooling system with oral language which can hinder more formal literacy development. It can become an Achilles’ heel for these students in their schooling journey and a challenge for teachers. 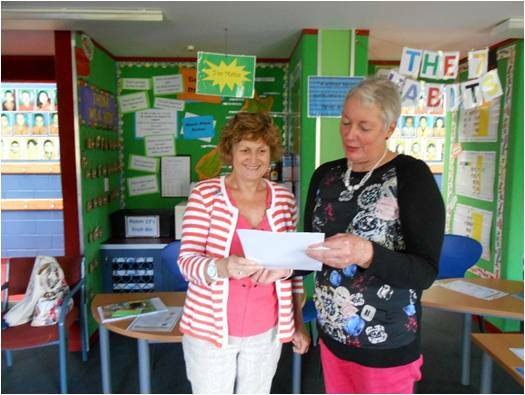 Teachers assess junior school children’s oral language development, to get a base line and an idea of planning their programmes accordingly, to meet student needs. 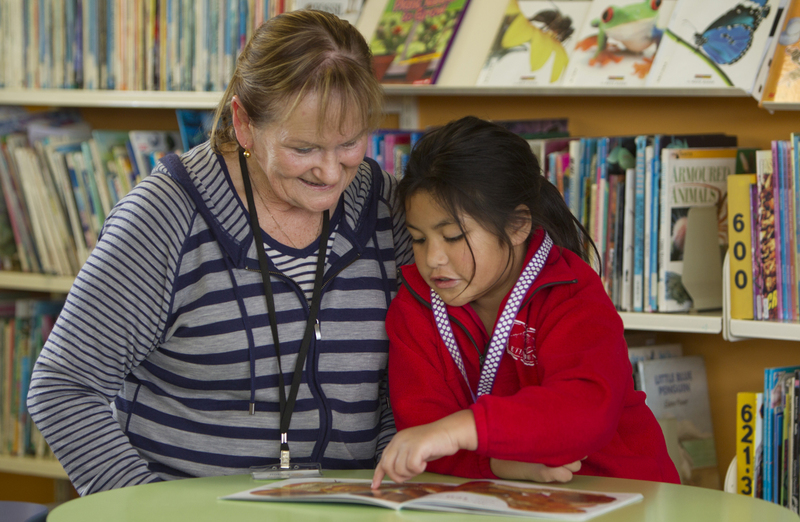 Volunteer tutors can greatly support teachers with this process, raising student levels of oral language, which underpins literacy and numeracy growth. 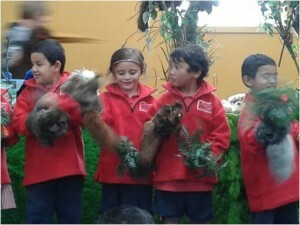 Children playing with the possum puppets at the Erin Devlin Show. Volunteers, training in specific areas, by Speech Language and Literacy Specialist, Annette Stock and supported in classrooms, can significantly speed up the literacy process in the early years. This grounding, if solid, can enhance student progress. Worth bearing in mind, is research now identifying up to sixty per cent of youth offending can be attributed to the lack of identifying ‘clinically significant and previously undetected oral language competency’, during students’ school years. If schools can be supported to increase levels of oral language capability, with trained volunteer support, in the early years of schooling, the affects long term may contribute towards lowering this level. Students confident with their learning journey will grow. Volunteers, who assist this process, will reap the rewards of their time, graciously given. Sue Gunn said, “Many of the students arriving at WHPS have been very transient in their early preschool life and have been unable to attend any preschool facility, resulting in a large number of children starting school with extremely low oral language and this ultimately hinders their progress throughout their education. Parents and caregivers are being encouraged to become part of the programme helping to ensure that the community and intergenerational literacy levels are raised”. WHPS Assistant Principal, Megan Marshall is the supervisor of the programme within the school. She said “they have student data on file and it has shown that the boost these students receive through the TKT programme has greatly enhanced their progress. Students enjoy the smaller interactive and communication opportunities by having a tutor who is trained to provide specific instruction in a very informal situation, which encourages student confidence”. “Teachers have been taught to teach the learned process assuming the child comes in with a certain level of oral language skills, but they find there’s a gap”, says Megan. WHPS Principal, Brent Griffin agrees that possessing good oral communication skills provides the foundation which allows the young children to access their school’s curriculum from day one. Mr. Griffin is thrilled to be part of the TKT and believes the programme is vital for his school which has the second-highest transient rate in the country. “The students’ prospects for further achievement are high, especially when the needs are recognised and addressed from the beginning”, he says. “This programme is not to teach students to read”, explains Annette. 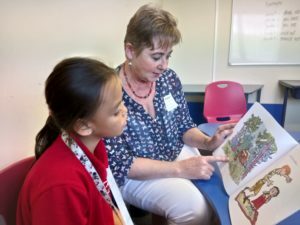 “It has been developed to provide support for students to be read to and talk about the book content as it relates to them. 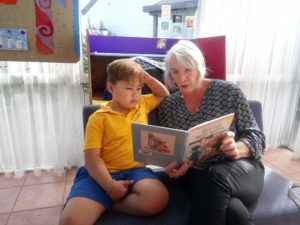 It is a chance for them to have specifically trained adult support around books and games, activities which will enhance their oral language”. “Some magical things are happening”, Annette says. “These children are very loving and they just love the adult attention, that one-on-one interaction, somebody that’s going to sit down and take the time to read with them. They just love their tutors. They form relationships, gain confidence, and really look forward to their time with the tutors”. 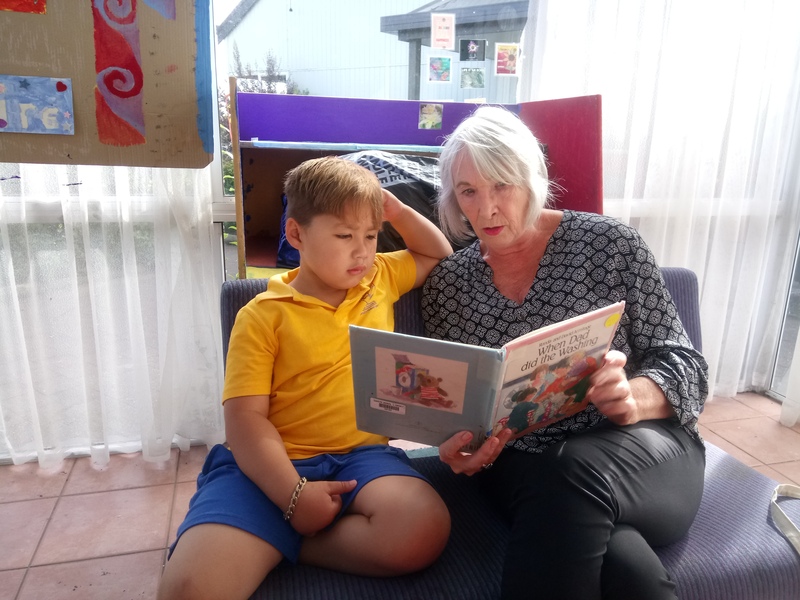 “The volunteers really enjoy their time with the children, reading storybooks, introducing rhyme and playing educational games that develop oral language and confidence in the children”, says Sue Gunn. Sue and her husband, Don are both members of Rotary Rotorua Sunrise, they are tutors on the programme. “It’s a very rewarding and worthwhile experience tutoring the children, they are keen to learn and can be quite competitive when it comes to the games – we just love it”. Volunteer tutors are trained to work 1:1 with students or in small groups, for half an hour, 3 times a week (volunteers may share students). Each module involves a 2-3 hour training session with Annette Stock, Training Facilitator. * The resources – storybooks, poems, puppets and educational games are stored in the Tutor Room at WHPS and operate on a library booking system. 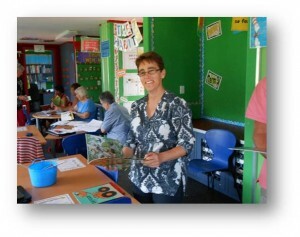 Laura Hall, volunteer tutor at a training session. * Will be well rewarded for your efforts! 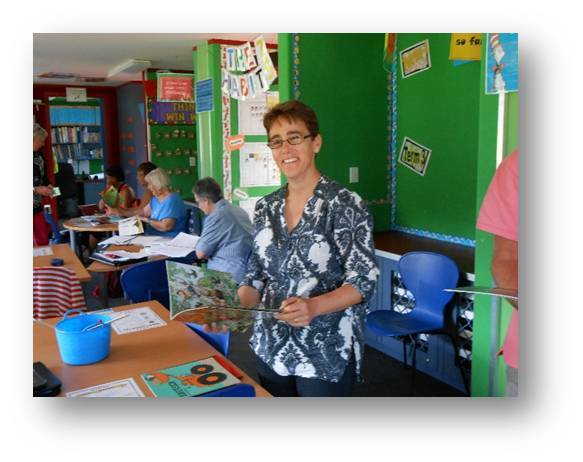 * To discuss becoming a volunteer tutor please contact Sue Gunn, TKT Project Coordinator, call 021 190 4011 or complete a contact form. 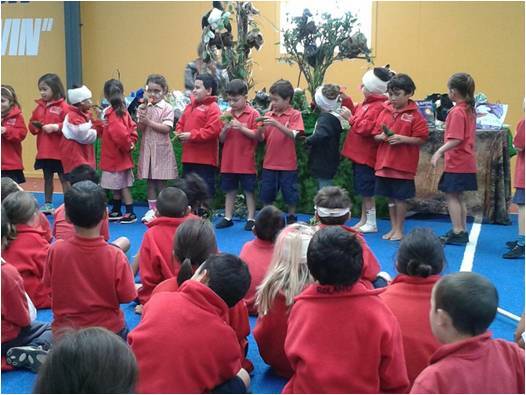 The TKT oral language programme continues to have a significant and positive impact on all Tamariki involved. As outlined in previous reports, a number of our students enter school unprepared for formal learning, with oral language levels that are at approximately a three year old level. The TKT programme goes a long way to addressing some of the most pressing needs of these students – learning, social, behavioural and emotional needs. The relationships the children make with their tutors over the year are very special, and they are something that will stay with the children for a long time to come. In terms of formal testing, we have been able to see definite improvement with these students. On average, the children on the TKT programme have moved 2 stanines, keeping in mind most of these children have also moved age levels, this progress is excellent. The children have developed in confidence and are much more vocal in class. The children have loved all the 1-1 attention and the fun things they get to do. The children loved receiving stickers from their tutors. He is communicating more with adults and peers. He is self-correcting his use of me/I. She is more willing to ask and answer questions. A change particularly with the boys on the programme: they are showing an eagerness to listen to and focus on stories being read to the class. Definite improvement in self-management, taking turns, listening and questioning. The children are always so excited to go with their tutors, positive experience for them. They have loved being made to feel special. We love playing the different games. I love the way Whaea keeps telling me I’m doing great. I like reading the books. I like my ‘little sticker book’. I love my notes from Whaea. The TKT programme is a necessity for our community, where many of our children are struggling with oral language. Most misbehaviour starts with a child’s inability to convey (orally) how they feel or what happened in reaction to a problem. 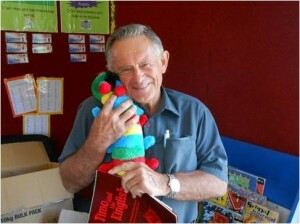 The TKT programme not only attends to literacy needs, but also behavioural and emotional needs. 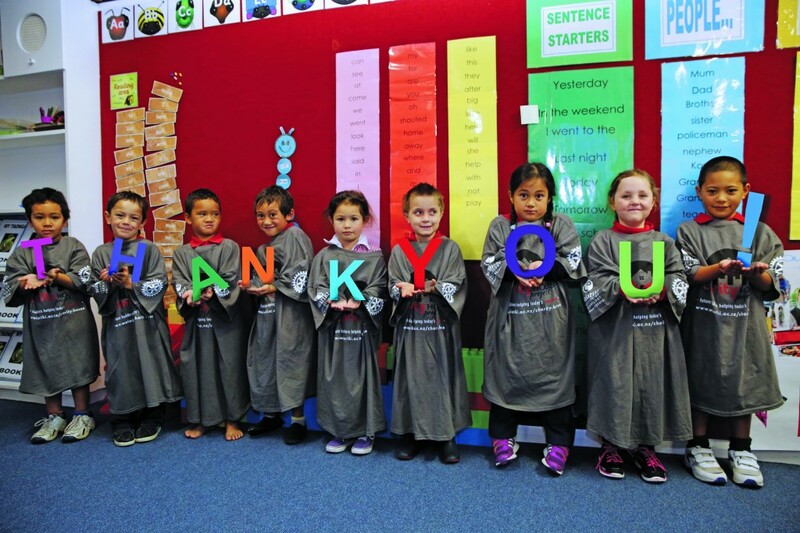 The TKT programme is so valuable and Western Heights Primary School continues to be grateful to Rotary Rotorua Sunrise for the on-going support, enabling the programme to be delivered. WHPS Year 1 students at the Erin Devlin Show. The same day they had a “patient dress up day” at school!